One of our favourite parts of The Very Hungry Caterpillar Story is the final pages. Where after the caterpillar has been a cocoon and he nibbles a little out of it he appears as a beautiful butterfly. 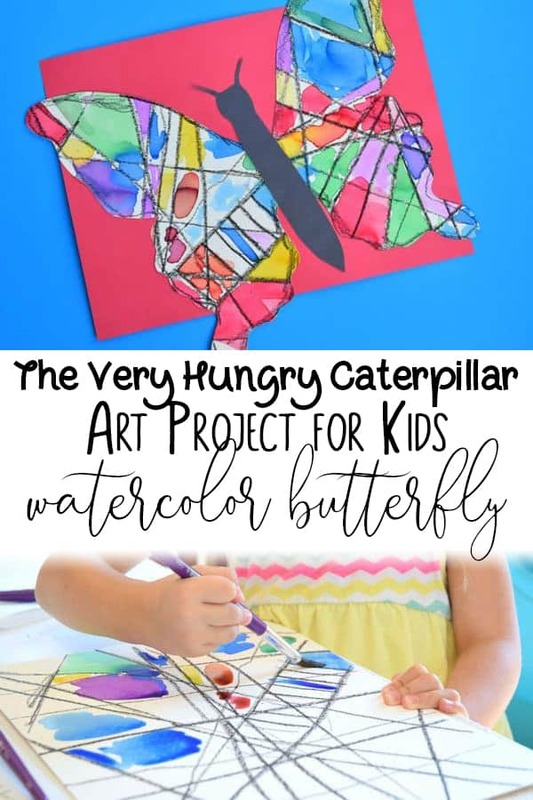 This Very Hungry Caterpillar Activity is ideal to make with your kids after you have read the story and is a fantastic Proces Art project that you can finish off by turning into a beautiful butterfly. 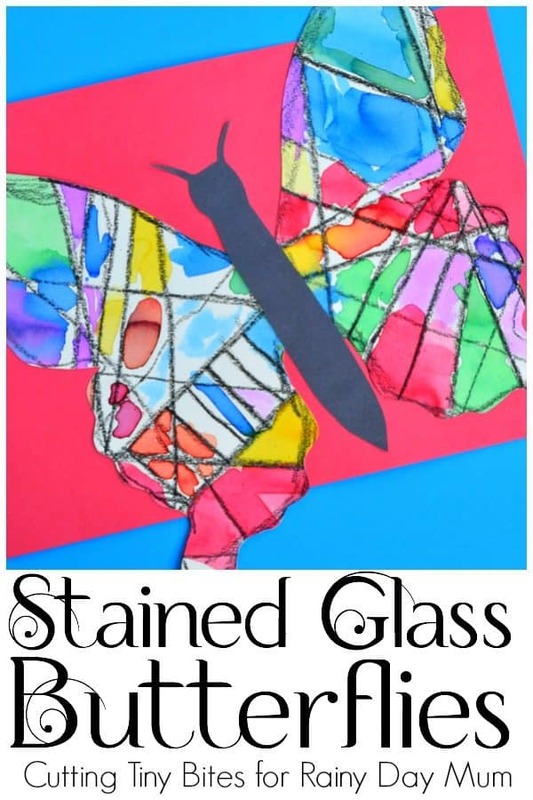 So here we go Wax Resist Stained Glass Butterfly Art to make with your kids inspired by The Very Hungry Caterpillar. 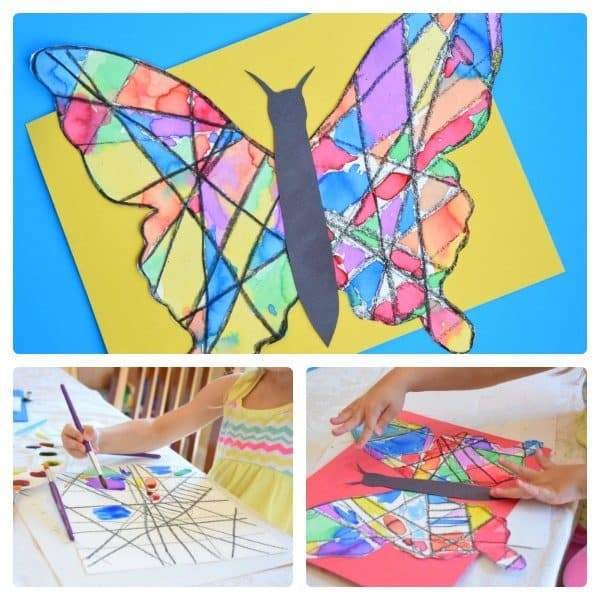 We have included links to products that we used to create this Butterfly Art. If you buy via the links we may earn a small commission. Even though we’ve read The Very Hungry Caterpillar hundreds of times, we started this activity by reading it again. 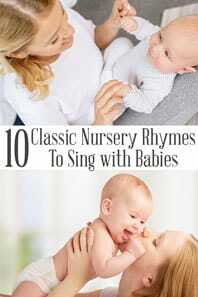 It’s one of those books that you just can’t hear too many times! Since my daughters are 4 and 5, we hadn’t read it much lately, but it brought back warm memories of cosy snuggles with my squishy little toddlers. The book tells the story of a small caterpillar who eats and eats all week long, builds himself a chrysalis, and comes out as a butterfly. On the last page, we looked for a while at the beautiful butterfly that emerges from the chrysalis. We talked about the colours and the patterns. 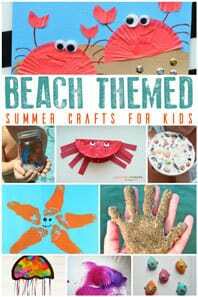 After we read, it was time to get down to crafting! 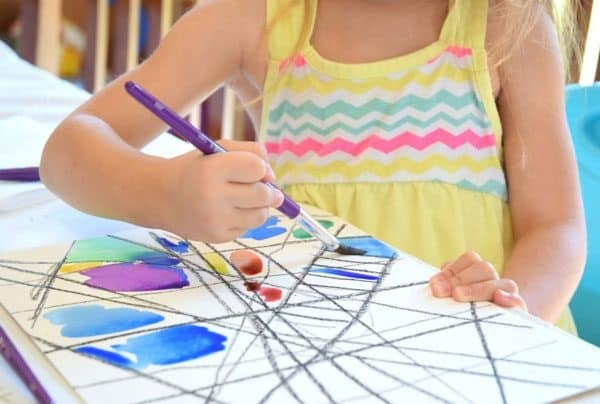 Give your child a sheet of watercolour paper, a ruler, and wax based crayon (really important) black crayon. Regular Crayola crayons will work, just not the washable variety made for younger children. 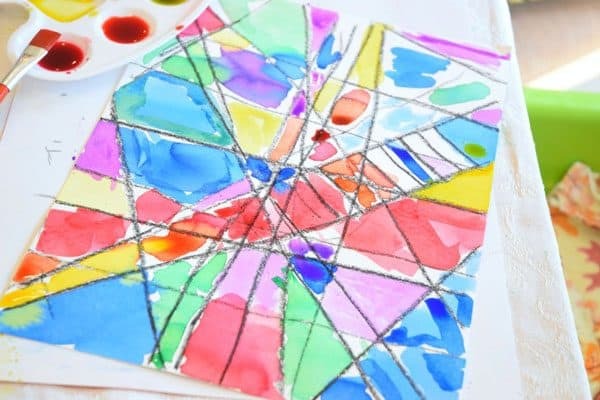 Show your child how to draw criss-cross straight lines on their paper to make the outlines of “panes” of stained glass. They’ll need to press down very hard and make a dark black line. 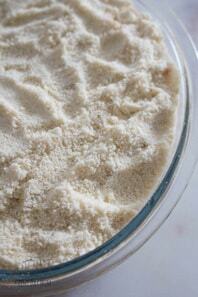 Feel free to darken up any lines that you need to. Next, it’s time to paint! 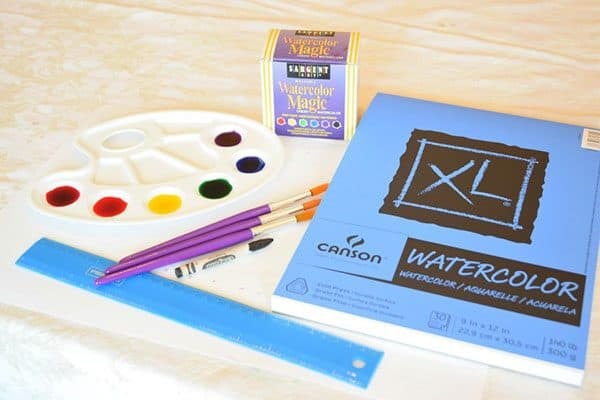 Mix your liquid watercolours to be very vibrant. We used equal parts water and liquid watercolour. 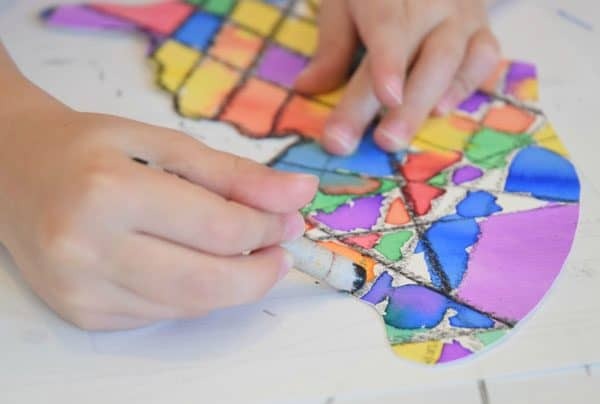 Your children will paint each section, trying to make adjacent squares different colours. The crayon will (mostly) keep the watercolour from bleeding into other sections. Set the paper aside to dry. Print a copy of a butterfly wing. 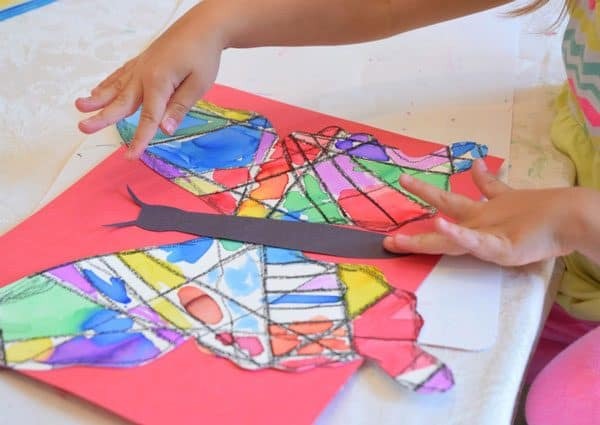 We used this one from Clip Art And Crafts to make a nice large butterfly. Cut out the wing and then trace it two times onto the back of your watercoloured paper. 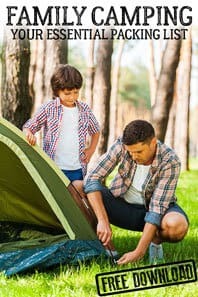 Be sure to flip the template over after you trace it once so that you have a right and left wing. We learned that lesson the hard way and ended up with 2 identical wings (we repainted the reverse side of one wing to fix the problem). Cut out the wings. 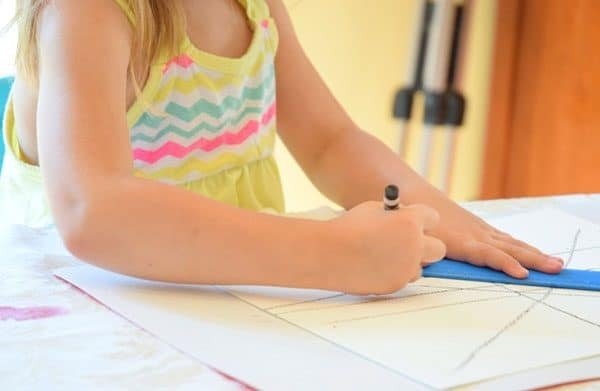 Your child can outline the wing in black crayon if they’d like. It makes a nice edge. Cut a simple butterfly body out of black construction paper. 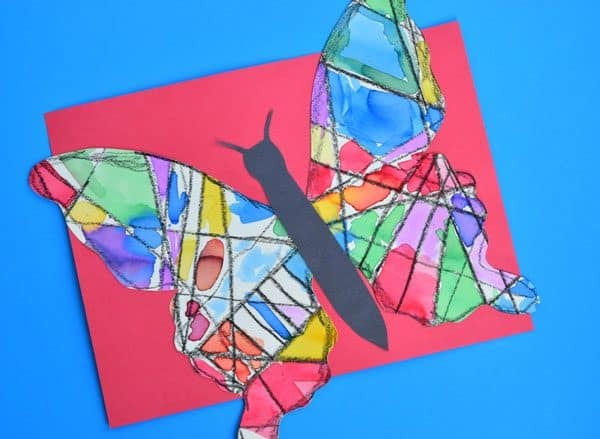 Glue all the pieces on a sheet of construction paper and you’ve got a beautiful stained glass butterfly! We looked again at the butterfly in A Very Hungry Caterpillar and decided that ours were just as beautiful! 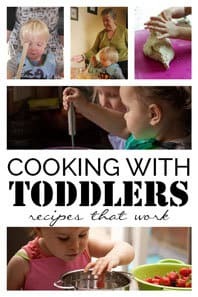 Ellen blogs at What Can We Do With Paper & Glue where you’ll find crafts, home preschool themes, book lists, healthy snacks, sewing tutorials, and more! 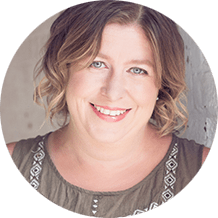 Connect with her on Pinterest and Twitter. 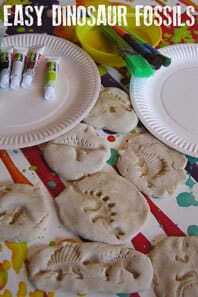 Ellen also shared fun dinosaur activity to go along with the book Saturday Night At The Dinosaur Stomp for our Storybook Summer Series.